We create professional websites that power GSA based business. Run your GSA contracting business and we’ll run your website. We’ve got your back. VISIONEFX services a long list of GSA or government related businesses. These include those doing business with the US Army, Navy, Air Force, Marines and U.S. Government agencies. We are web design experts who understand GSA business to include; Seaport-e and Seaport NxG. Ready to create a new website design or maybe redesign your existing GSA business website. It’s time to call VISIONEFX your web design for consultants expert. 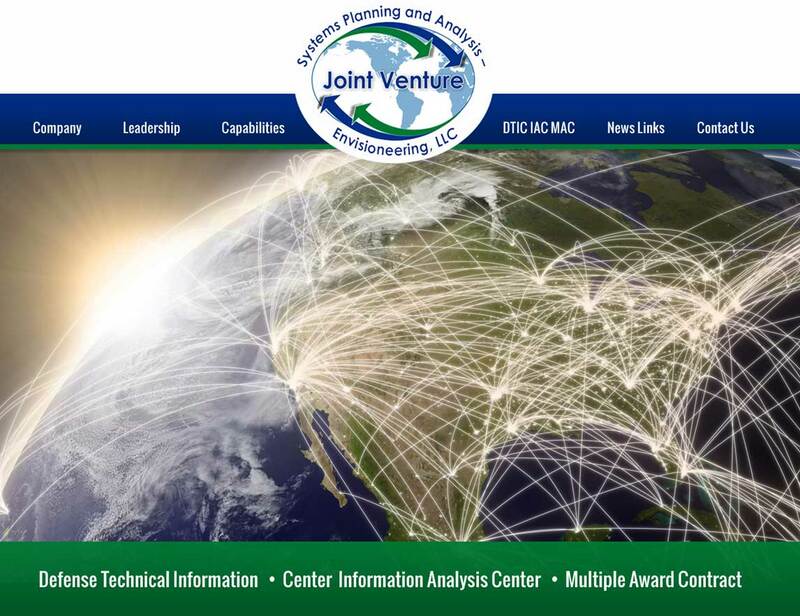 This new custom Joint Venture website design features colorful custom banners, call-to-action areas with informational displays. We provide custom website design services to business owners throughout the United States.